Atlantic Blue Crabs or just blue crab is a native to Atlantic waters around the southern eastern United States and Gulf of Mexico. Blue crab have been an important source of North American and European fisheries since the 1500’s or earlier. Fisheries exist along much of the Gulf Coast as well as the Atlantic Coast of the United States. Historically, as early as the 1600’s, blue crab has been an important source of food for Native Americans around the Chesapeake Bay. They have also been used effectively as bait throughout much of this same area, serving a dual purpose in the fishery economy. The largest blue crab fishery in the world now exists in Louisiana with twenty two percent of the nations blue crab harvested there. Prior to Louisiana, the largest blue crab fishery in the world for more than a century was located at the Chesapeake Bay. The region around the Chesapeake Bay is a significant site for crabbing, with even recreational crabbing catch numbers reaching near four million pounds. Blue Crabs are harvested using pots specially designed to allow the crabs into the pot but affords them no means of escape. For classification purposes crab meat special is defined as crab meat harvested from shreds and small flakes of white meat from the body cavity of the crab. Special crab meat is very versatile and can be used in a wide cross section of dishes. Generally any dish where one would use white crab meat allows for the use of special crab meat. White crab meat is generally white in color although it does contain a naturally occurring red or brown tinge throughout the meat. White crab meat is very low in fat while being extremely high in protein. White crab meat has a delicate and sweet flavour as well as a sweet aroma. The texture is flaky yet slightly chewy. White crab meat is most commonly served in sandwiches , risottos and salads. Anderson prides itself on a holistic approach and so from engaging suppliers who use best practice methods to farm the crabs, to utilising a zero carbon method of delivery, we enshrine the virtues of quality product, consumer satisfaction and eco friendliness. 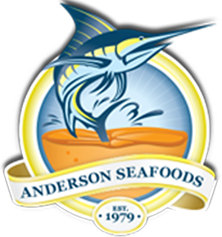 Any crab can come from the sea, lake or pond, but your crab meat special from Anderson foods is sent to your plate from heaven.